Visceral leishmaniasis (VL) is an important parasitic disease which is endemic in different parts of Iran; and domestic and wild canines are principal reservoir hosts of the disease. The objective of this study was to review the spatial distribution of canine VL (CVL) caused by Leishmania infantum in domestic and wild canines in different geographical areas of Iran. An extensive literature search was conducted in different international and national databases, including Cochrane, MEDLINE/PubMed, Scopus, Web of Science and Iran Medex to find articles with the words “visceral leishmaniasis in Iran” in their titles and “canine visceral leishmaniasis in Iran” or “feline visceral leishmaniasis in Iran” or “accidental reservoir hosts of visceral leishmaniasis in Iran” in their subtitles, irrespective of the type and duration of study. Screening of the irrelevant articles from total 36,342, yielded 61 eligible articles. More than 93% of the studies were carried out on domestic dogs (Canis familiaris, n = 57) and the remaining were on other carnivores such as wild canines including foxes (Vulpes vulpes, n = 4), jackals (C. aureus, n = 6) and wolves (C. lupus, n = 6); while studies on domestic cats (Felis catus, n = 3) as well as desert rodents (n = 2) were rare. 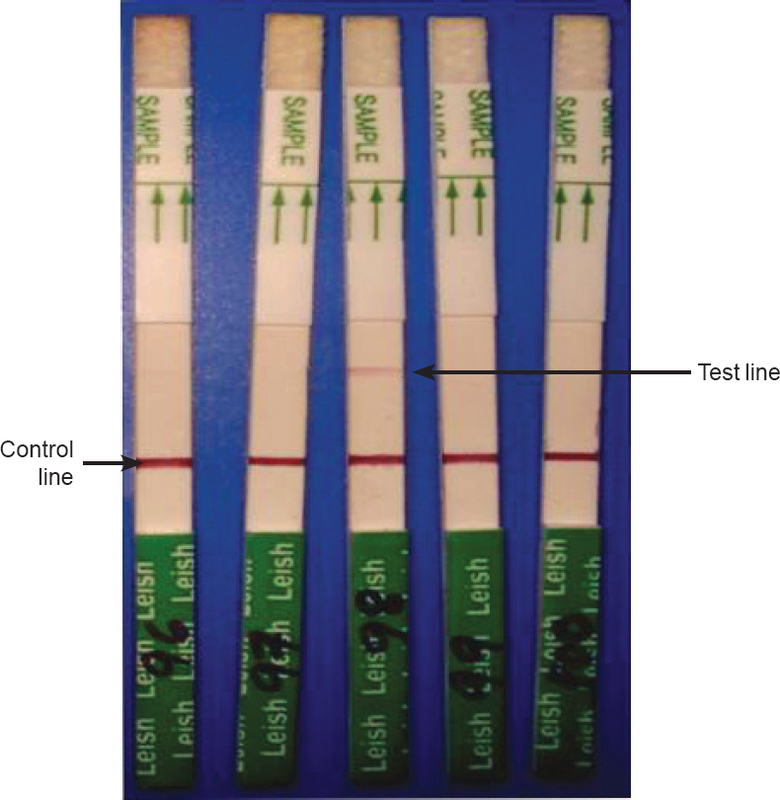 The average rate of L. infantum infections reported among domestic dogs using direct agglutination test (DAT) in Iran was 12.5%. 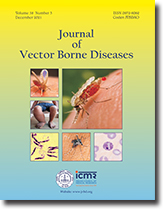 The highest prevalence rate (14%) was reported from the northwest regions of the country where VL is endemic. The review indicates that CVL is endemic in various parts of Iran and domestic dogs are the main and potential reservoir hosts of the disease. Other carnivores, such as domestic cats and some species of desert rodents (Cricetulus migratorius, Mesocricetus auratus and Meriones persicus) seem to be playing a role in the maintenance of transmission cycle of L. infantum in the endemic areas of the disease. Background & objectives: Insecticide applied at optimum dosage and coverage delays the development of resistance in disease vectors. The study was aimed to test the hypothesis whether decrease in exposure to insecticide leads to decrease in selection of insecticide resistance in mosquitoes. 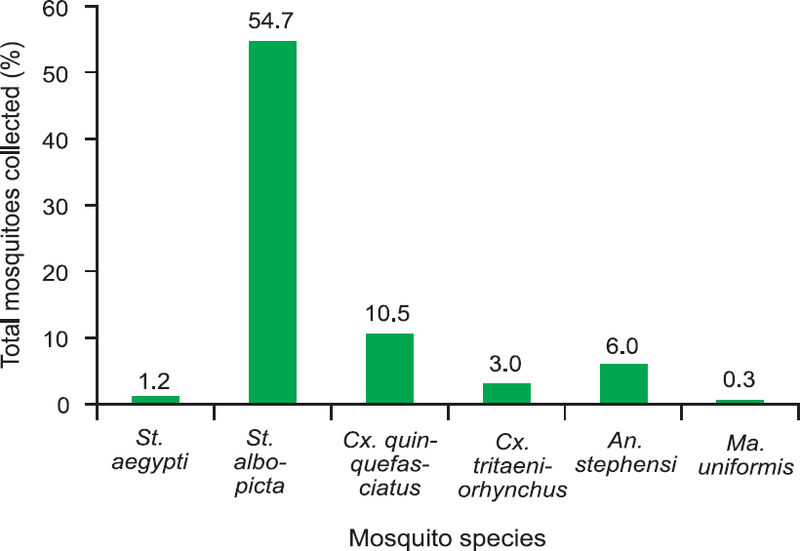 The mosquitoes were variably exposed to insecticide in the laboratory by simulating the variations in insecticide sprays applied in the field. Methods: The study was carried out on DDT resistant adults of Anopheles stephensi. 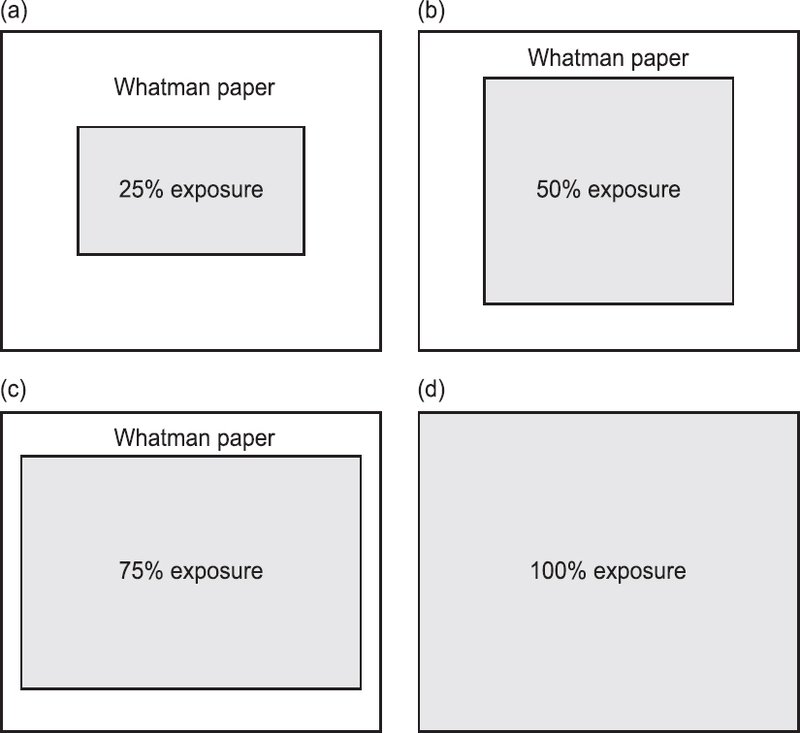 Mosquitoes were differentially exposed to impregnated papers of DDT (4%), that were differentially masked to 25, 50, and 75% area with an unimpregnated Whatman No.1 filter paper, and to a positive control without any masking, i.e. 100% exposure area. The study was conducted for five generations and at each generation mosquitoes were exposed to differentially masked impregnated papers, and percent mortality was calculated. Results: The observed survival rate in differential exposures was more with the increase in heterozygous genotype resistance-susuceptible (RS) frequency. Resistant gene frequency with differential exposures (25 to 75%) was in the range of 0.38–0.54 for the F0 generation, which increased to 0.84–0.93 for the F4 generation. In 100% exposure it was 0.18 in F0 generation, which increased to 0.58 in the F4 generation. The resistant gene frequencies in the population showed increasing trend with decrease in exposure in contrast to complete exposure. Interpretation & conclusion: Variable simulated exposures resulted in precipitation of increased resistance while complete exposure resulted in lower levels of resistance, signifying the importance of optimum dosage and coverage in the indoor residual spray in delaying/avoiding the development of insecticide resistance in the disease vectors. Background & objectives: Three doses of intermittent preventive treatment with sulphadoxine-pyrimethamine (IPTp-SP) has been adopted as the new recommendation for prevention of malaria in pregnancy. This study evaluated the effectiveness of two-dose versus three-dose of SP for IPTp-SP in the prevention of low birth weight (LBW) and malaria parasitaemia. 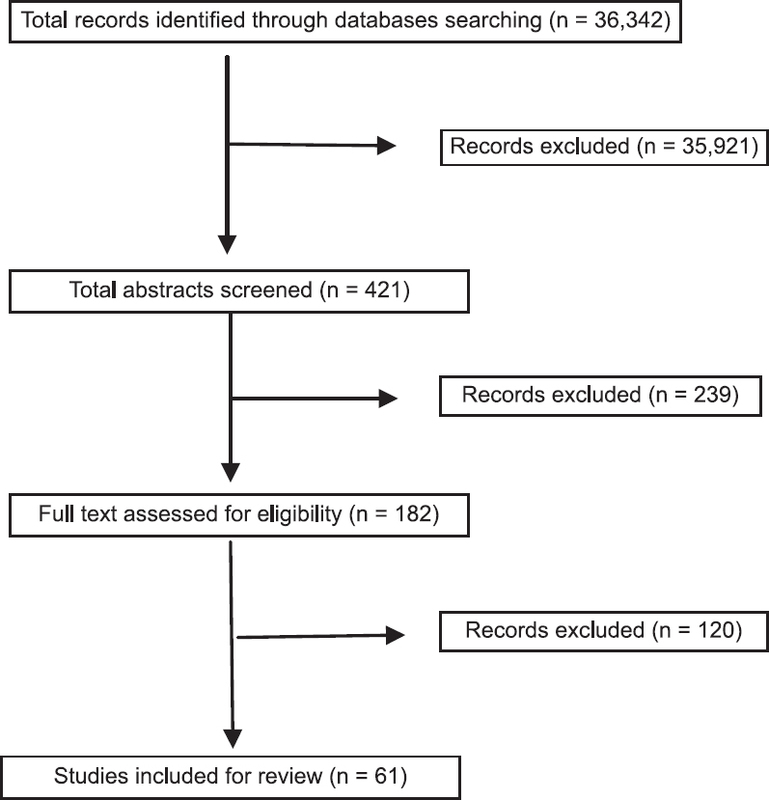 Methods: An open, randomized, controlled, longitudinal trial was conducted in a secondary level hospital in Nsukka region of Enugu State, Nigeria. A sample of 210 pregnant women within gestational ages of 16–24 wk were recruited at antenatal clinics and equally randomized to either a two-dose SP or three-dose SP group. The primary endpoints were LBWs, peripheral, and placental parasitaemia, while the secondary endpoints were maternal anaemia, pre-term birth, clinical malaria and adverse effects of SP. Results: Among 207 cases followed till delivery, the prevalence of parasitaemia was lower in three-dose group than in two-dose group for both peripheral (9.3% versus 27.8%) and placental (10.6% versus 25.6%) parasitaemia. The adjusted odds ratios (aOR) were 0.15 [95% confidence interval (CI), 0.05 – 0.45] and 0.17 (95% CI, 0.06–0.51), respectively. The prevalence of LBW was also lower in three-dose (3.5%) than in two-dose (12.2%) group (aOR, 0.15; 95% CI, 0.04–0.63); however, the prevalence of maternal anaemia, pre-term births, clinical malaria and SP adverse effects were similar between the two arms of treatment. Interpretation & conclusion: Addition of a third SP dose to the standard two-dose SP for IPTp led to improved reductions in the risk of some adverse pregnancy outcomes. Background & objectives : Schistosomiasis is a rural endemic disease that has been expanding to urban and coastal areas in the state of Pernambuco, Brazil. The aim of this study was to characterize the distribution of breeding sites of the causative vector, Biomphalaria straminea in an endemic municipality for schistosomiasis and to present the predictive models for occurrences and dispersal of this vector snail to new areas. 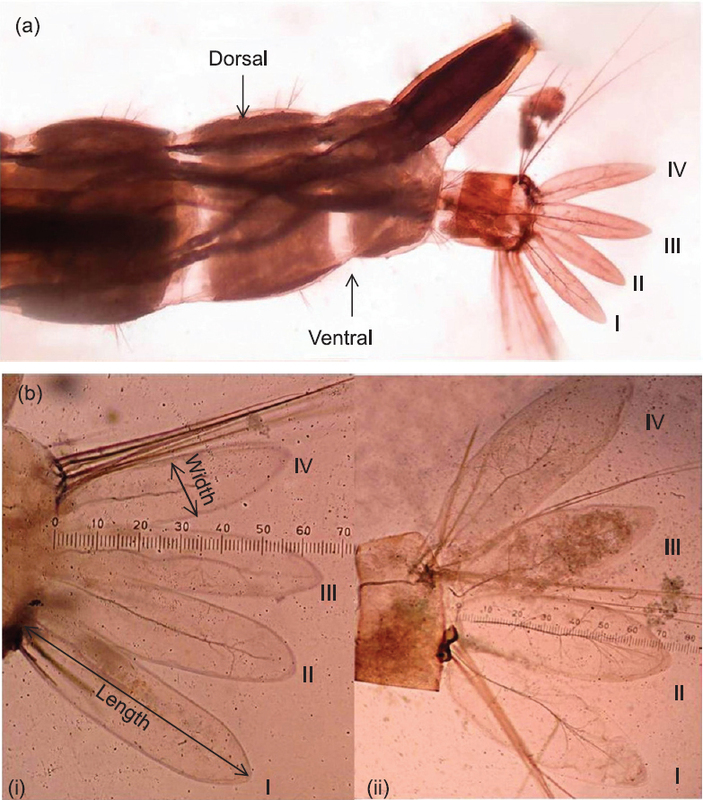 Methods : A malacological survey was conducted during January to December 2015 in the municipality of São Lourenço da Mata, Pernambuco, Brazil to identify the breeding sites of Biomphalaria. Faecal contamination was determined by means of the Colitag™ diagnostic kit. Rainfall data were collected, and correlated with snail distribution data. Kernel density estimation, kriging and maximum entropy (MaxEnt) modeling were used for spatial data analysis, by means of the spatial analysis software packages. 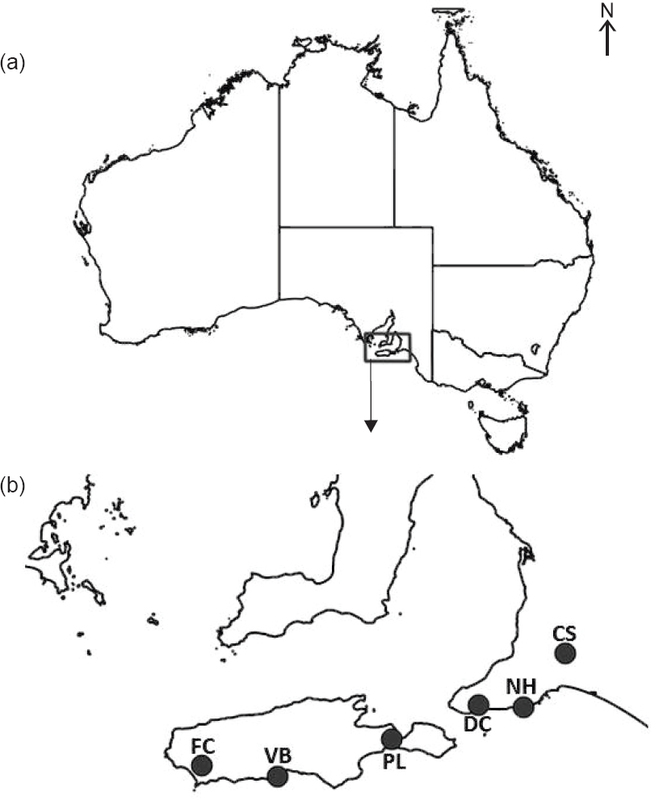 Results : Out of the 130 demarcated collection points, 64 were classified as breeding sites for B. straminea. A total of 5,250 snails were collected from these sites. Among these 64 sites, four were considered as foci of schistosomiasis transmission and 54 as potential transmission foci. An inverse relationship between rainfall and snail density was observed. Kernel spatial analysis identified three areas at higher risk of snail occurrence, which were also the areas of highest faecal contamination and included two transmission foci. Kriging and MaxEnt modeling simulated the scenarios obtained through the kernel analyses. Interpretation & conclusion : Use of geostatistical tools (Kriging and MaxEnt) is efficient for identifying areas at risk and for estimating the dispersal of Biomphalaria species across the study area. Occurrence of B. straminea in the study area is influenced by the rainy season, as it becomes more abundant during the period immediately after the rainy season, increasing the risk of dispersal and the appearance of new transmission foci. Background & objectives : Crimean-Congo hemorrhagic fever (CCHF), an illness characterized by fever and hemorrhage, is caused by a CCHF virus (CCHFV). It is an important public health problem in Turkey. The objective of this study was to evaluate the demographic, clinical, and laboratory characteristics and mortality rates of CCHF patients in the northeast region of Turkey. Methods : A total of 206 patients, diagnosed with CCHF, from northeast region of Turkey were included and evaluated between 2011 and 2017. Real-time reverse transcriptase polymerase chain reaction (RT-PCR) and immunofluorescence (IFA) methods were used for the diagnoses. Results : Of the patients included in the study, 77.2% were farmers/livestockers, while 22.8% had other occupations. The incidence of tick bite or tick contact with bare hands was 52.9%. About 94.2% of the patients were living in rural areas and 5.8% in city centers. However, all the patients living in city centers had a history of visit to rural areas. The disease was more common in May, June, and July months. The most common symptoms at the time of admission included fatigue, fever, and widespread body pain, while laboratory findings were thrombocytopenia, leukopenia, and anemia. Bleeding, tachycardia, and rash were the most common findings on physical examination. Of all the patients, 95.6% were identified by RT-PCR and 4.4% by IFA methods. Severe cases constituted 22.3% (46) of the included patients. Throughout the course of this study, 7 (3.4%) patients died, and the remaining 96.6% (199) patients were discharged with a full recovery. Disease severity was significantly correlated with mortality rate and duration of hospitalization (p <0.001 and p = 0.013). Interpretation & conclusion : In this study, the mortality rate observed was lower than that reported in the literature because of accessibility of early supportive therapy. It would be beneficial in CCHF treatment to recognize the disease at an early stage, begin supportive treatment quickly, and educate the people living in high-risk areas as well as health care personnel working in these areas. 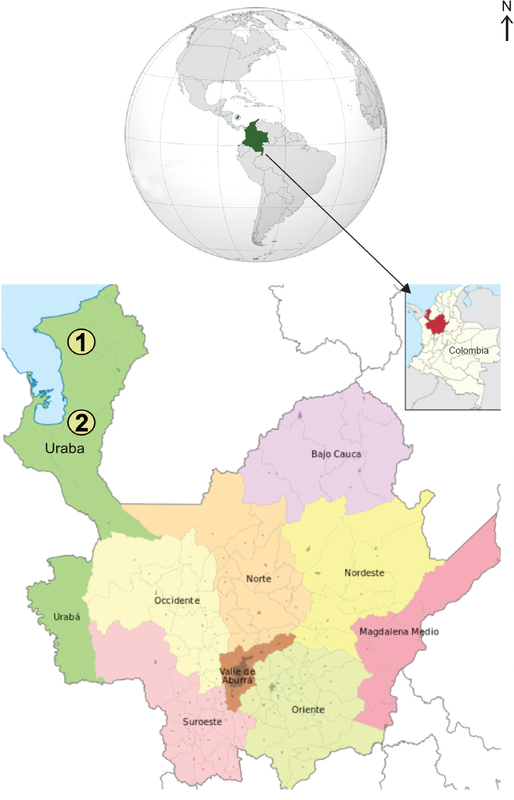 Background & objectives : The presence of Babesia spp in humans, bovine cattle and ticks (the transmitting vector) has not been well characterized in Colombia. Babesia infection in humans can be overlooked due to similarity of the disease symptoms with malaria specially in the regions where malaria is endemic. The aim of the present work was to study the frequency of Babesia infection in humans, bovines and ticks in a malaria endemic region of Colombia, and explore the possible relationship of infection with host and the environmental factors. Methods : A cross-sectional study was carried out between August 2014 and March 2015 to determine the frequency of B. bovis and B. bigemina infection in a sample of 300 humans involved in cattle raising, in 202 bovines; and in 515 ticks obtained from these subjects, using molecular (PCR), microscopic and serological methods. In addition, the demographic, ecological and zootechnical factors associated with the presence of Babesia, were explored. Results : In the bovine population, the prevalence of infection was 14.4% (29/202); the highest risk of infection was found in cattle under nine months of age (OR = 23.9, CI 8.10–94.30, p = 0.0). In humans, a prevalence of 2% (6/300) was found; four of these six cases were positive for B. bovis. Self-report of fever in the last seven days in the positive cases was found to be associated with Babesia infection (Incidence rate ratio = 9.08; CI 1.34–61.10, p = 0.02). The frequency of B. bigemina infection in the collected ticks was 18.5% (30/162). Interpretation & conclusion : The study established the presence of Babesia spp in humans, bovines and ticks. The most prevalent species responsible for babesiosis in humans and bovines was B. bovis, while B. bigemina was the species most frequently found in the tick population. The results contribute to the knowledge of the epidemiology of babesiosis in the country and can provide guidelines for the epidemiological surveillance of this non-malarial febrile illness in humans as well as cattle. Background and objectives : The dogs are considered the main reservoir of visceral leishmaniasis (VL), but lately the disease incidence has been reported in cats also. In this study, the susceptibility of domestic cats to experimental Leishmania infantum infection was assessed by different diagnostic methods. Methods : A total of 12 healthy adult male cats were captured by double door live trap cages containing baits. Of them eight cats were intraperitoneally inoculated with 107 L. infantum promastigotes (stationary phase), and four cats were used as controls. Whole blood and serum samples were collected at weekly intervals for 16 wk after inoculation for testing by polymerase chain reaction (PCR) and enzyme-linked immunosorbent assay (ELISA) methods. Aspirates of prescapular lymph nodes and bone marrow were obtained at monthly intervals. Clinical examination was performed twice weekly and histopathological evaluation was done on necropsy samples at the termination of the study. Results: One week after inoculation, blood nested PCR was able to detect the L. infantum infection and it remained positive until 16 wk. ELISA test remained negative during the study. Amastigote phase of parasite was not observed in bone marrow aspiration and necropsy samples. Interpretation and conclusion : The feline model described in this work would be useful in further understanding of L. infantum immunopathogenensis in cats. The results of this preliminary study suggest that cats might be resistant to VL as the inoculation dose which induces pathognomonic clinical features in dogs, just creates asymptomatic parasitaemia in cats. Though, due to long-lasting parasitaemia, cats may act as appropriate reservoir for transmission of VL to human population. Further studies are needed to describe the possible role of cats in the epidemiology of VL in endemic areas.